Every summer and throughout the year MKG hosts a variety of day and week camps for Seattle kids in our North Seattle location. 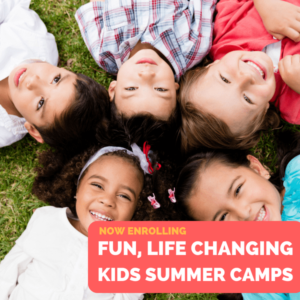 These camps are a great way to fill those long summer days or breaks from school that are normally filled with video games and television. Instead get them out of the house, working in groups, learning cool new skills and just being active. Our camps have a variety of themes that keep all of the activities that we do fresh and fun for students, as well as giving them new challenges. While the martial arts are a critical component of our summer programs no experience is necessary. Our instructors are expert at working with kids of all ages and abilities and have a fantastic reputation for their teaching abilities, patience and status as role models for children. Through the martial arts kids will gain confidence in themselves, a sense of security as their vulnerability to bullying decreases and increased health as they begin to fall in love with exercise. Take your skills to this next level as you learn to wield the weapon of choice of the Jedi Knights. To start build your own Lightsaber for your training. Then spend the time learning offense and defensive techniques needed to truly become a master of the arts. Have you ever dreamed of a career as a stuntman in Hollywood? If the answer is yes than this camp is for you. You will learn how to sell the art of fighting in front of a camera. Being able to sell the hits and falls all while being safe is an essential skill of the stuntman. Adapt and improvise as you create choreography and bring your characters to life. You do not want to miss this camp! Space is limited so Click Here to reserve your spot now! ← FREE Women’s Self Defense Workshop!